How to find the Ornamented Keys in Assassin’s Creed Origins. 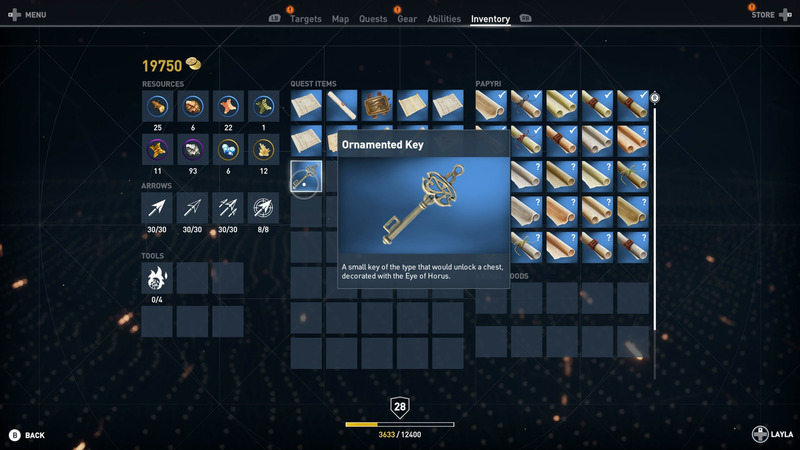 Assassin’s Creed Origins has dozens of different collectibles for keen explorers to find, one of which are the mysterious Ornamented Keys. If you want to get your hands on some powerful treasure, you’re going to need to hunt down all the Ornamented Keys, which means killing some tough enemies. The Ornamented Keys in Assassin’s Creed Origins are dropped by the exceptionally powerful Phylake soldiers that can be seen patrolling Egypt in search of Bayek. Killing your first Phylake will begin the side quest, Phylakes’ Prey. While this quest requires you to be Level 40 to finish, you can begin working toward completing it as low as Level 17. There are four Ornamented Keys in total, with the third key being rewarded after killing all 10 Phylakes – if you’re struggling to find them, be sure to check out our guide on all Phylake locations. 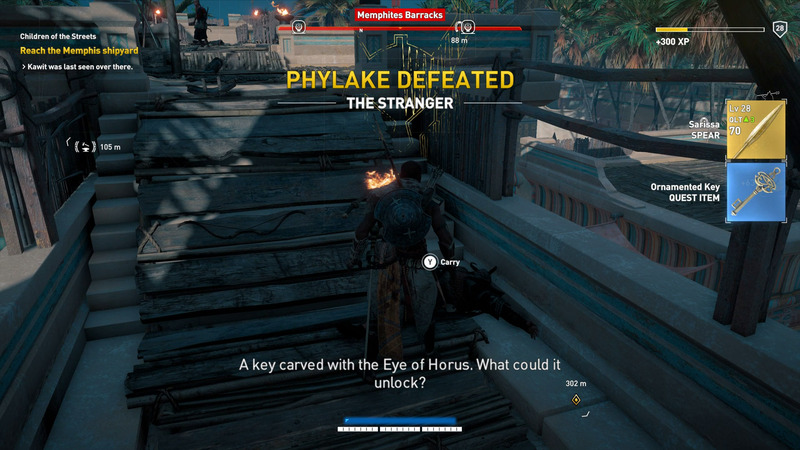 Once the three keys from the Phylakes are collected, you will need to collect the final key from a lady in Herakleion Nome. Keep in mind that you can either kill a Phylake as soon as you can or save them all up for when you’re a higher level. One advantage of killing a Phylake as soon as you’re able is because they each drop a powerful Legendary weapon. These weapons will help you deal more damage to the next Phylake when you level up. With all four Ornamented Keys in your possession, another side quest will begin that tasks you with finding the treasure the keys unlock. For all your trouble, you’ll be awarded the Black hood Legendary outfit – a dangerous-looking set of armor for Bayek. Be sure to check out our other Assassin’s Creed Origin guides, such as all tomb locations, how to solve the sundial puzzle, and all papyrus locations.